Why have I chosen funeral service Dyras a career? A traditional funeral service is when your loved one is present with open or closed casket. Visitations are usually held the day or night before the funeral. The funeral service itself is held the following day in either in our funeral home, church, chapel or special place chosen by the family. After the funeral, there is a procession to the cemetery for a committal service. The graveside service may be followed by a reception (repast or other gathering place selected by the family). Sometimes a traditional funeral service is followed by a cremation. It does not restrict you from having a visitation, open casket and a funeral service the following day. A Memorial Service is held when the deceased is not present. It may take place at the funeral home, a church or another place chosen by the family. This is a time to remember your loved one through fellowship with friends and family. This memorial service can also be an addition to a traditional funeral service. The Committal Service is a brief service at the gravesite after a tradition funeral service but prior to the burial. This is where family and friends say their final good byes at the final resting place by placing flowers or sand on the casket. If the committal service is the only service then it becomes what we call a grave side service and is accompanied by a viewing the night before at the funeral home. The grave side service is a more lengthy service consisting of music, scripture reading, and eulogy. Direct Cremation is when there is no funeral ceremony. The deceased is placed in a refrigeration unit until the proper paperwork has been completed like necessary burial permits and death certificates. Then the body is placed in a cremation container or casket chosen by the family members and transported to a crematory. The cremated remains are placed in an urn and ready to be buried, placed in a niche or taken home. Direct burial does not consist of a funeral service. The person is placed in refrigeration until the proper paperwork is completed. Then the body is bathed, dressed and casketed. The casket is transported to the cemetery for burial. The human remains can be shipped overseas. It does not restrict you from having a visitation and a funeral service. To be the most respected person in the funeral industry and offer my assistance to all families without regard to religious beliefs or economic constraints. To lead the industry in services and to exceed customer expectations. To provide caring, personalized and professional funeral, memorial, cremation, shipping and contemporary services tailored to families of all faiths, cultures and spiritual needs and to approach the loss of a loved one with the utmost dignity and respect. To provide families mourning the loss of someone they loved with guidance, information, advice and care during the bereavement process. To develop trust with families, community and the suppliers. 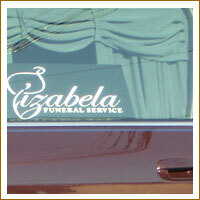 To educate the community about the value of pre-planning funeral arrangements. Funerals allow mourners to remember and honor their loved ones in a special ways. The body present at the viewing serves as a focal point for mourners and helps them acknowledge the reality of death and behing the heealing process.